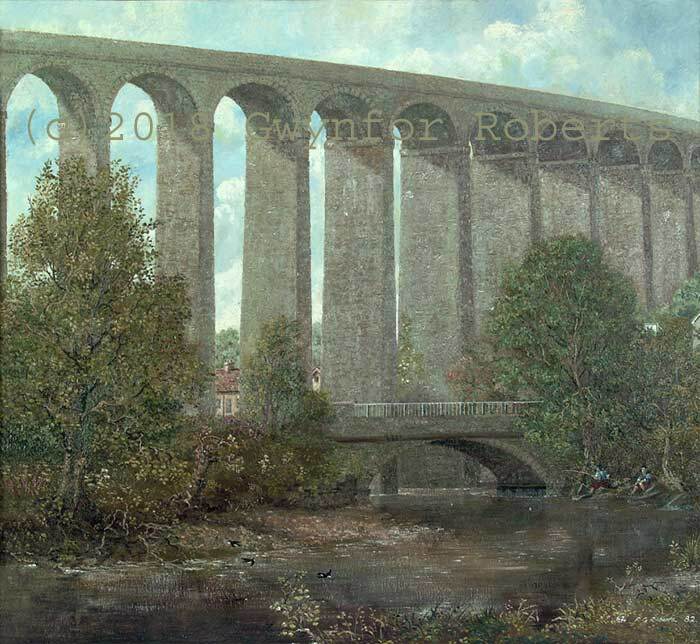 This painting shows the Viaduct over the Rhymney river. The road bridge connects Hengoed on the right, to Maesycwmmer on the left, the old Wool Mill is just visible through the arches. Hengoed high level station which no longer exists was to the right of the picture. Today the Viaduct is open for the public to walk across and is part of the national cycle path. Work on the Viaduct commenced in 1853 and was completed in 1858. There are 16 arches making the Viaduct approx' 270m long. It is one of the oldest structures of its kind and formed one of the busiest rail networks. It was closed in 1964 and after much work was re-opened for the cycle path mentioned above. I was thirteen when the Viaduct closed so I can certainly remember the steam trains crossing over. Special offer prints of Wales. Tour of Britain cycle race - 2011. Tour of Britain cycle race - 2012.